Foreclosures in Omaha | What is the process? 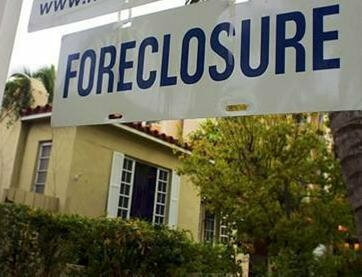 Nebraska allows foreclosure without a court hearing! For better or worse, Nebraska allows mortgage companies, banks and other lien holders to foreclose on real property without a court proceeding. The authority that provides for non-judicial “mortgage” loans is found at Neb. Rev. St. § 76-1018 et seq. and is commonly referred to as the Nebraska Trust Deeds Act. This Act allows lenders to create consensual liens against your property in exchange for a loan and, most importantly, allows a foreclosure to occur without having to go to court if there is a default. Almost all real estate loans in Nebraska are secured by “Deeds of Trust” instead of a traditional mortgage. Mortgages are now very rare in Nebraska but are still commonly used in Iowa and other states. Deeds of Trust are lender friendly and if a homeowner gets behind in making the payments, a Nebraska homeowner may face foreclosure much sooner than a person living in a mortgage state. A mortgage default almost always requires a judicial proceeding to foreclose the property and this translates into a lot of time and legal expense for the mortgage company. If a homeowner is behind on their payments, the mortgage company normally starts the foreclosure process informally. A letter is typically sent from the mortgage company to the homeowner via regular, U.S. Mail, indicating that the foreclosure process is about to begin. The letter will likely also include a notice that the homeowner has certain rights under various federal laws, most prominently the Fair Debt Collection Practices Act, or “FDCPA” for short. This is the notice that generally states that you have 30 days in which to dispute owing the debt. However, even if a homeowner does dispute owing the debt (or at least disputes what is alleged to be owed at this time), that does NOT stop the foreclosure process. Rather, this is a formality in most cases. The lender is still going to proceed with foreclosure but they may be required to respond to the homeowner within 30 days that they have “verified” the debt. The next step for the mortgage company is to file an official “Notice of Default” with the Register of Deeds office in the county where the property sits. This Notice must be sent to the homeowner by certified mail. However, if a homeowner does not pick up the letter at the post office, that does not slow down the foreclosure process. In other words, the homeowner does not actually need to receive the notice. All that is required is that the mortgage company sent the letter. The Notice of Default states that a residential homeowner has 30 days in which to become fully current under the terms of the loan. If they fail to do so, then the lender has the right to accelerate the loan. In short, the entire loan becomes due, not just what is delinquent. After a full 30 days has elapsed from the filing of the Notice of Default with the Register of Deed’s office, the mortgage company then prepares and mails a Notice of Sale to the homeowner. There is no other notice! It is a simple mailing and nothing is filed with any official governmental office! Additionally, the lender must publish the Notice of Sale with a legal newspaper for 5 consecutive weeks before a sale can occur. The Notice sets forth the details of when, where and what will be sold. It is important to know that a Deed of Trust sale cannot be undone after it is completed. Filing a Chapter 13 bankruptcy before the sale date will STOP the foreclosure sale from occurring. Furthermore, the filing of a Chapter 13 bankruptcy deaccelerates the loan which means that you can just bring the loan current over time and not have to worry about the entire balance being due now. At the appointed time and place, a person called a Trustee will announce to the public that a certain parcel of real estate (i.e., your home) is being sold to the highest bidder. The Trustee will read through the official Notice and then open the process to bids. Anyone can bid that has the funds to complete the transaction in full within the same day or sometimes within 24 hours. Normally, 10% is required up front in certified funds. Once the sale is completed, there is no undoing the foreclosure absent very rare or unusual circumstances (such as mistake or obvious fraud). Foreclosures in Omaha and elsewhere in Nebraska generally occur in the above manner on a regular basis. 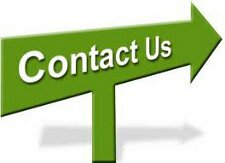 If you are faced with a foreclosure proceeding and want to save the house, it is an urgent matter to meet with a bankruptcy attorney as soon as possible. Bankruptcy is complex and takes time to get the various documents and requirements prepared and completed. Investigating the options with a bankruptcy lawyer are free and provides you with the knowledge necessary to make the very best decision to protect your home and financial security.